This is really cute. And yes, I would like to hear the gorey details on everything. Yes, that's the one. Wow. You are really adventurous! 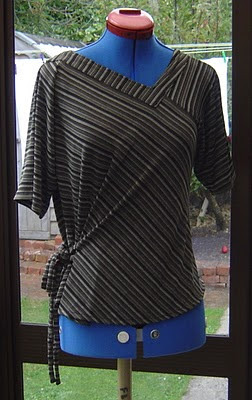 And now that I've seen that top I definitely want to make it. Very nice top. The neckline detail is very interesting.